Two recent baby announcements involve famous names. News media reported last Friday that tennis star Serena Williams gave birth to a baby girl. Williams did not provide the child's name to the media. 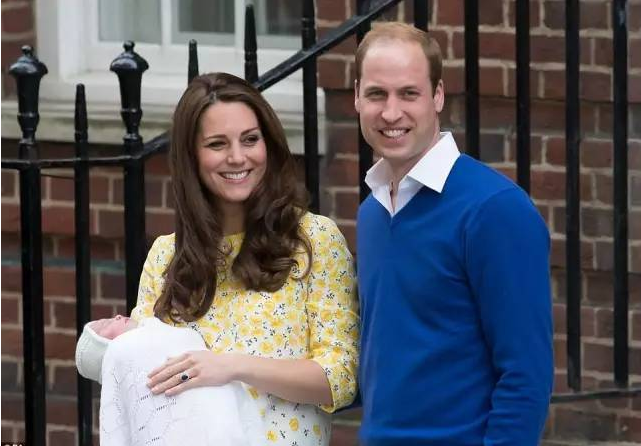 On Monday came news that Britain's Prince William and his wife Catherine are expecting their third child. An official statement said Catherine, the Duchess of Cambridge, is being cared for at Kensington Palace in London. Friday was a big day for the Williams family. Serena's sister Venus Williams was set to play at the United States Open Tennis Championships in New York. At the same time, news came out that Serena had a baby girl. The baby weighed a little more than three kilograms. Her father is businessman Alexis Ohanian. Venus told a television reporter about her baby niece just before she played on Friday. Many people used social media to congratulate Serena Williams and wish her a fast recovery. One of them was Williams' coach Patrick Mouratoglou. He wrote: "I am so happy for you," and "I wish you a speedy recovery ... we have a lot of work ahead of us." Singer Beyonce used Instagram to congratulate Serena. Venus Williams won her match on Friday. With the victory, she moved on to the U.S. Open women's quarterfinals. Serena Williams has said she plans to return to tennis in 2018. She last played in January, when she won the Australian Open. On Monday, Kensington Palace announced that Catherine was pregnant with her third child. The announcement read: "Their Royal Highnesses, The Duke and Duchess of Cambridge, are very pleased to announce that The Duchess of Cambridge is expecting their third child." William and Catherine have two children: four-year-old Prince George and Princess Charlotte, who is two. The palace also said Catherine is experiencing severe "morning sickness." The condition forced her to withdraw from an event she planned to attend Monday afternoon. Morning sickness is when a pregnant woman has nausea and may vomit several times a day. It can be dangerous for the woman since she is at risk of dehydration, but it is not usually a problem for the baby. The US news media will cover the trial closely. His mother, Julia, soon moved on to a new relationship. Faintness and morning sickness can be signs that you are pregnant. 1.It can be dangerous for the woman since she is at risk of dehydration, but it is not usually a problem for the baby. He saved three children alive at risk of his life. An estimated seven million people are at risk of starvation. 2.At the same time, news came out that Serena had a baby girl.